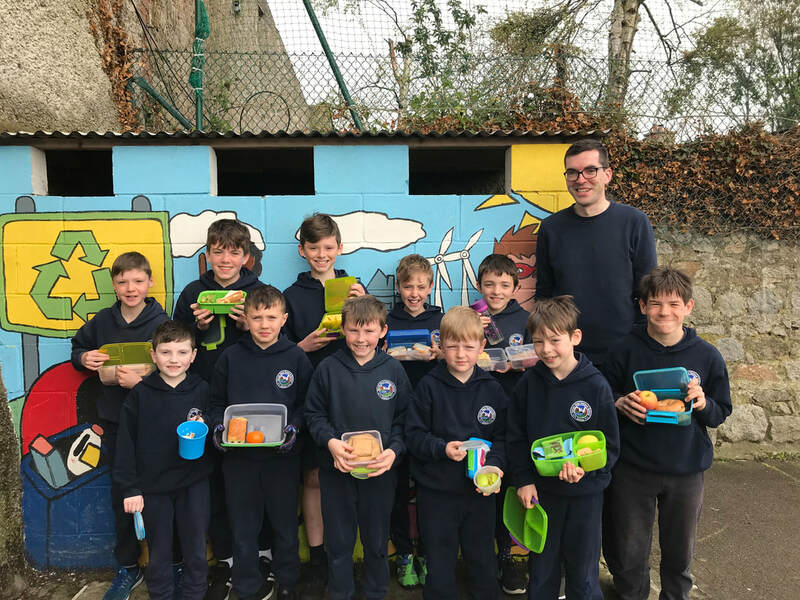 ​Our Green Schools Committee organised a Plastic Free Lunch Day for students and staff on the 9th April. The idea behind this was to raise awareness about how much single use plastics are in our lunchboxes. This is especially important ahead of Easter where overuse of packaging on Easter Eggs is a big problem. We surveyed students to see how many lunches contained plastic packaging on a normal school day. Over 60% of our students and staff had plastic packaging on items for their lunch. Yoghurt cartons and clingfilm were some of the most common plastic items. Our Plastic Free Day saw the use of plastic packaging fall to less than 15% of students and staff in the school. 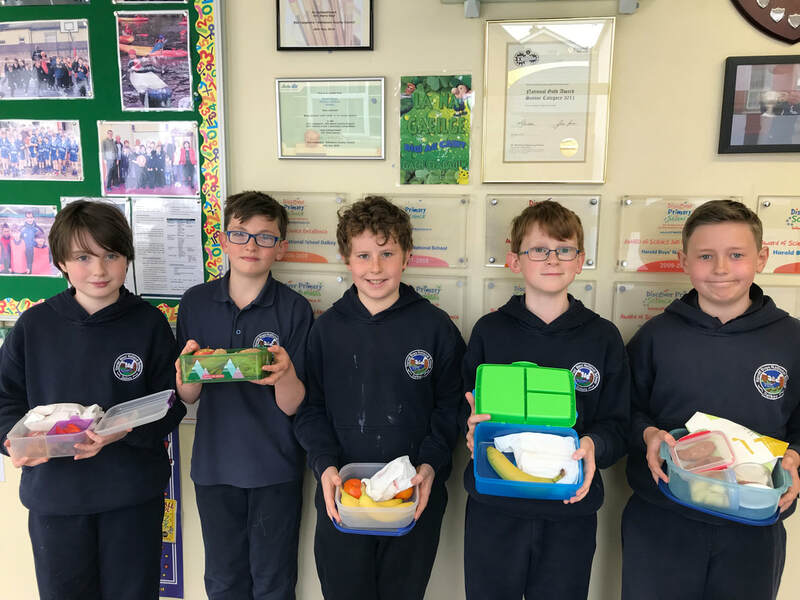 The idea was a great success and helped us to see the range of alternatives to plastic we can use for our lunches such as using a lunch box or bag, paper sandwich bags or compostable kitchen paper. Our Green Schools Committee will continue to encourage our students and staff to avoid single use plastics in future. Fourth class went to Kippure this week and tried a number of nature activities. There was a treasure hunt where each group had to follow the trail on a map and use the clues to solve a puzzle and find some tasty treasure! For the next activity, they had to build shelters from natural resources in the wood for humans and for small animals. The groups had to engage in teamwork and find out which materials were useful for building a shelter in the woods. For the final activity, the boys built boats in a group for a boat race on the stream which was fantastic fun. We also learned about animals and plants in the local area and tasted some pine needle tea! Thanks to everyone at Kippure for the brilliant day. As our recent run of WOW (Walk on Wednesday) days have been so successful, we are going to keep them up for the rest of the school year. 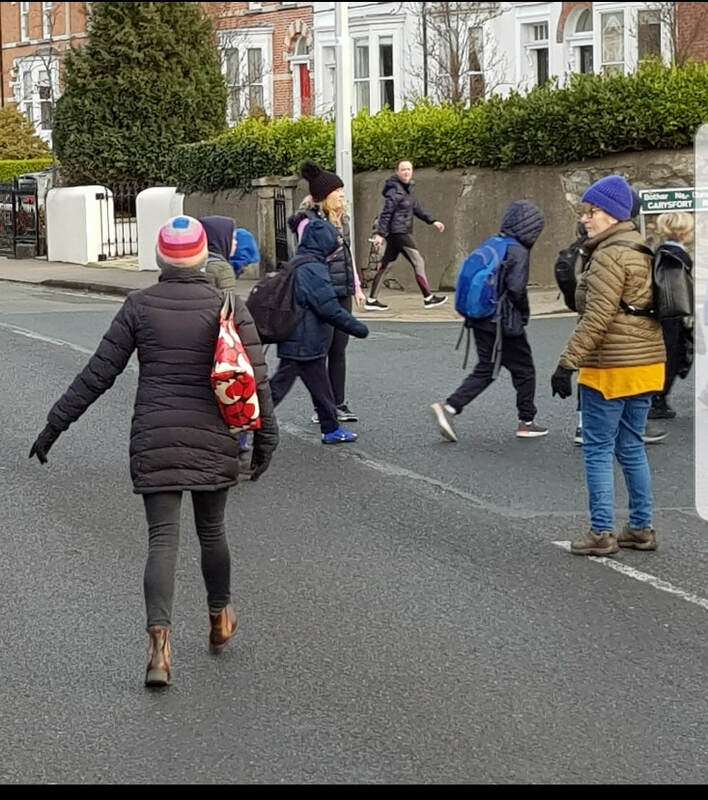 We walk from Cuala GAA grounds to school at 8.45am every Wednesday. Hope to see you there next time! Sixth class visited the Natural History Museum this week. Enjoy the slideshow showing just some of what we did and saw in the museum! 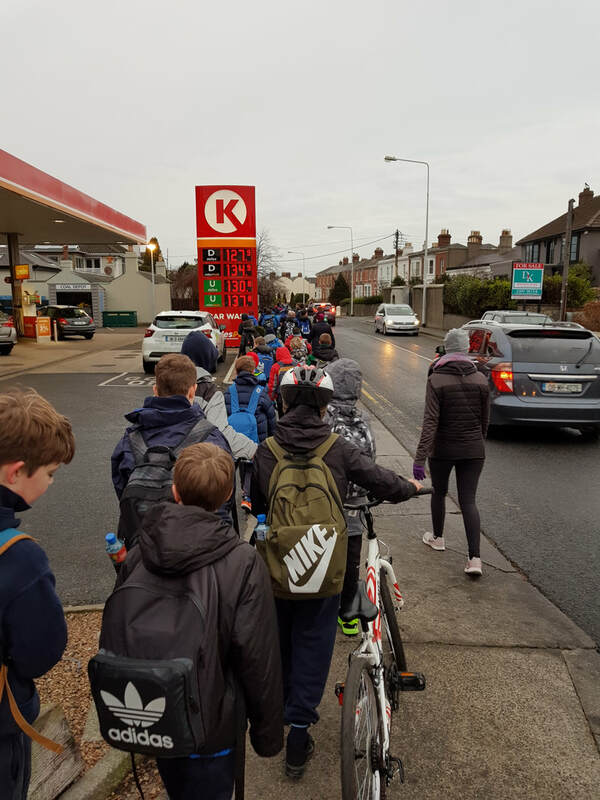 We have six weeks of WOW planned for this term to encourage staff and students to walk, cycle or scoot to school. It isn't easy in January but we have had a great turnout so far and WOW is great for our wellbeing too. See you all at Cuala at 8.45am next Wednesday! Crazy Glazing - Litter and Waste Mural Complete! 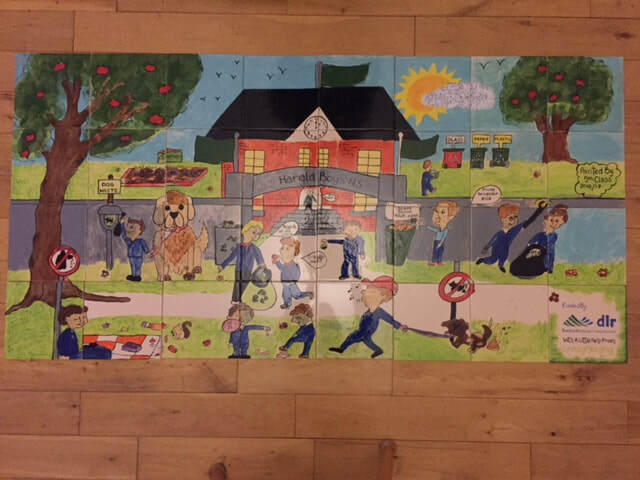 Huge thanks to Siobhan Brennan of Crazy Glazing for creating the design for this litter and waste mural which was painted beautifully by the students of fifth class. We hope this mural is inspiration for the school as we work towards our sixth Green Flag for Global Citizenship Litter and Waste. 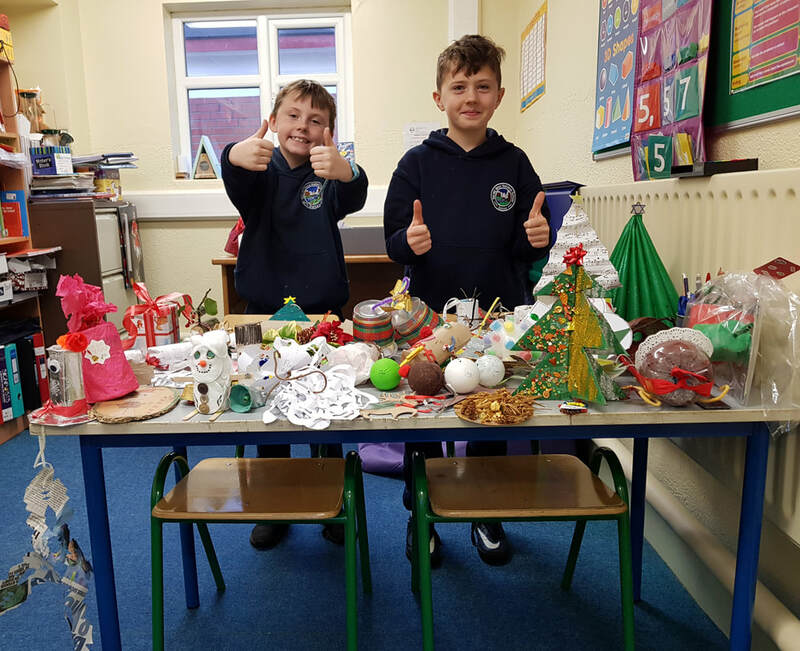 Our school champion, Alex Kral (decoration below), attended Dun Laoghaire County Hall on Friday with other school champions from the area to place his decoration on the Christmas tree there and receive his prize as school champion. Congratulations again to Alex! 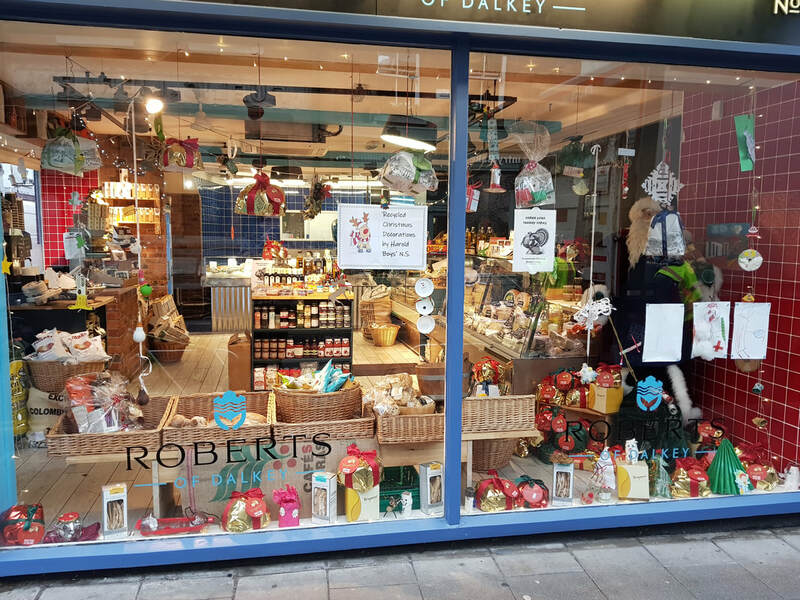 Our other excellent entries from school are kindly being displayed in the window of Roberts' of Dalkey. We think they look great and would like to thank Roberts once again for their support this year. Merry Christmas! Siobhan Brennan from Crazy Glazing in Wicklow came in to design a litter and waste mural for the school with 5th class. The design promotes reducing, reusing and recycling as well as containing cupla focal as Gaeilge! Thanks to Siobhan for her time and patience in designing this fabulous mural. 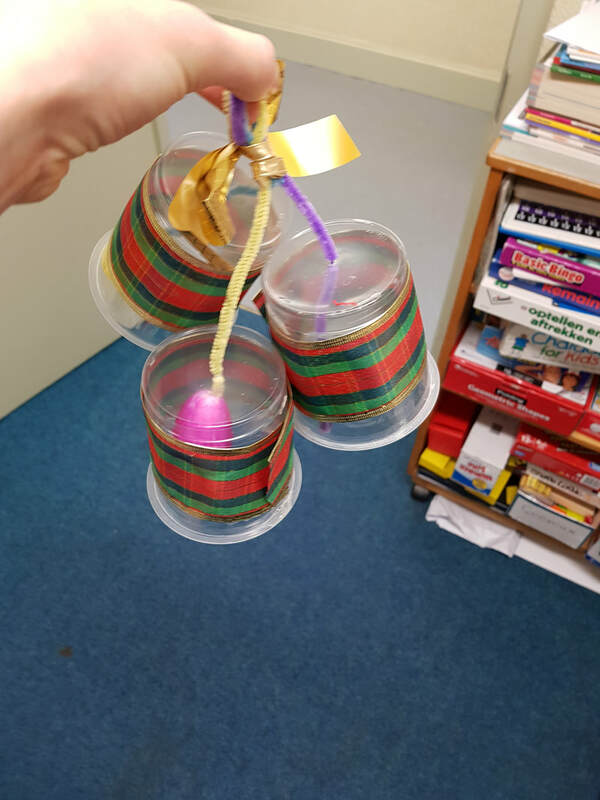 Our recycled Christmas decorations are in! This year saw another brilliant effort from a huge number of students in the school and our judges have a tough job ahead. Eek! Our Wheelbarrow Gardens were on show at this year's Dalkey Creates Festival. 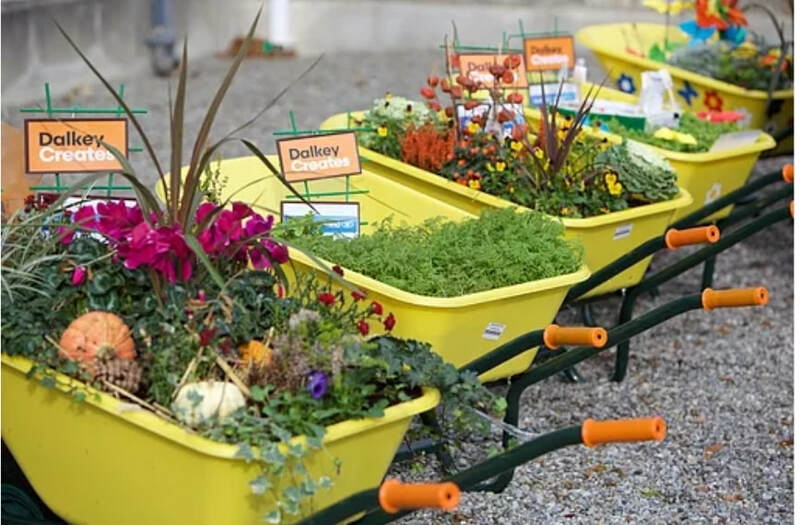 This year our wheelbarrows were full of vegetables and herbs such as broccoli and parsley and along with the wheelbarrows from other local schools, they made a wonderfully colourful and vibrant display at Dalkey Church.